It's rather obvious that E3 has come and gone. Congratulations, jokes, and complaints were made online and things have calmed down. I didn't make an E3 post immediately since I wanted things to settle before analyzing the show as a whole. So here are my thoughts on E3 2011. Before E3 even began I was already jumping out of my seat in excitement. This is the kind of announcement I've been hoping they would make for a few years now. Initially I had planned to give this announcement its own separate post all to itself (and it honestly deserves that) but I was foolish and decided to wait until E3 was over to add it to the massive list of everything else going on. It's probably for the best since the only positive aspect would have been me sharing the information immediately while the negative aspect would have been you having to endure my fanboy antics. Regardless, you'll want to pick both of these up and they'll be released for PS3 and Xbox 360 so you really have no excuse not to play them. Only the demo version was shown of the console as it's still in development but it seems like Nintendo has plenty of things in store for when they finally release this beast from its cage. There's already controversy because Nintendo admitted that there was never an intention in there being more than one Wii U tablet controller per console. You can already imagine the nightmare that can cause. 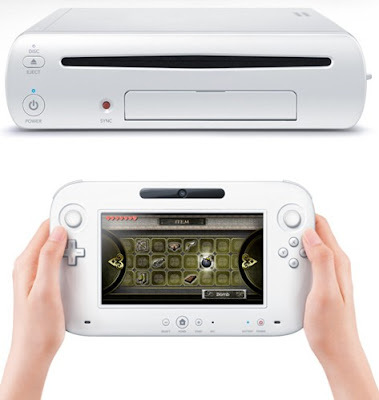 Nintendo's current response is that everyone else can use Wii motes but I imagine that will never fly. I doubt I need to repeat everything that's been stated about this but to put it simply: Microsoft is attempting to show us that the Kinect is something worthwhile to own. There were a few big titles announced and some added support to other major titles that will be released in 2012 and forward. There was a bit too much focus on the Kinect and I'm still not convinced that it's worth my money. Sony hit this one out of the park. In the handheld gaming market there is currently only one competitor: Nintendo 3DS. Both the 3DS and the Vita are the same price of $250 so that's already several steps in the right direction (many were worried that it would be too expensive but that fear was laid to rest). Then the titles: Uncharted: Golden Abyss, Super Stardust Delta, Little Big Planet Vita, Sound Shapes, BlazBlue: Continuum Shift II Plus, and even a new exclusive Bioshock title. These are all big titles from major companies and all of these were playable at E3 (except for the Bioshock title) so they aren't just "in development". The best part? They aren't just copies of games on the PS3. They're original titles. That's not even considering the future list of games that will be released from third party developers or any of the other Sony exclusives. The Last Gaurdian, Final Fantasy Versus, Agent, and a few other notables didn't even get mentioned let alone make an appearance. and plenty of other games that we've already known about got their chance to show off and make us drool for more. The biggest change to E3 this year was the primary focus. Prior E3s have always been about the future of gaming. This year was definitely grounded in the present. The games that got to shine were actually games we've known about for more than a year. It's actually a dramatic change and there's no telling if the trend will continue. What did you enjoy most about E3? Shout out in the comments below. This is Kylak signing out and already preparing a grave for my wallet. Trigun: Badlands Rumble U.S. Theater Dates! More Updates Than Your Body Has Room For! Video Spotlight #25 Nutrigrain Ad - I FEEL GREAT!